Zenith kits are designed to be purchased as a complete kit, as component kits, or as a quick build kit. The complete kit is the least expensive total option, however, by purchasing component kits, the cost can be spread over several months or years. The quick build kit could shorten the construction time by over 100 hours, and will still meet the 51% requirement. 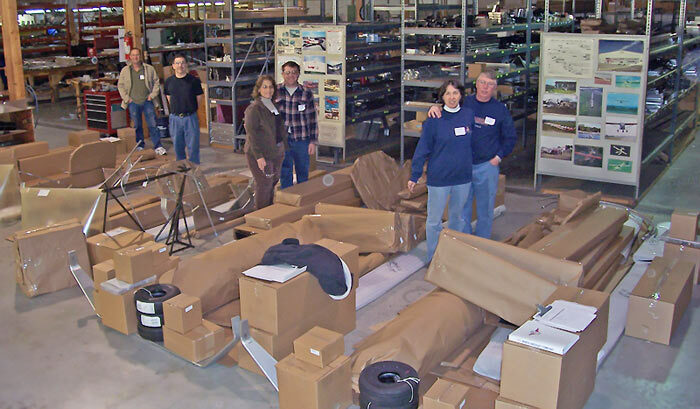 Rather than having the aircraft kit crated and shipped to you, you can choose to drive to the Zenith Aircraft factory to pick-up your kit (saving the crating and shipping charges), while also giving you the opportunity to visit the factory and go up for a demo flight in a factory demonstrator aircraft. The complete kit, or section kits, may be picked-up at the Zenith Aircraft factory in Mexico, Missouri. A trailer or large van/truck is needed to pick up the complete kit, as a length of up to 14-feet is required to accommodate the wing spars and skins (depending on the aircraft model). The typical weight of the airframe kit is between 500 and 1,000 lbs., depending on the aircraft model. A one-way trailer/truck rental (such as a U-Haul) is often the easiest and most affordable way. When you pick-up a kit, we do not package (crate) the kit parts so that you can easily and efficiently load the parts in your vehicle. As you are not charged for crating or packaging, please bring packing materials with you to properly load and secure the parts. We recommend you bring moving blankets and corrugated cardboard to protect the parts as you load them, as well as rope and cardboard packing material. If you use an open trailer, bring a large “tarp” to protect the kit from rain, road salt, etc. Depending on the size of the vehicle / trailer, you may need a roof rack to load longer parts, such as the wing spars. To aid in determining whether your vehicle can accommodate a particular kit, we provide below the crated dimensions and weight of both the complete and component kits for each aircraft. Note that, as mentioned above, kits are not crated if you choose to pick them up at the factory. Thus, if an object of these dimensions will fit in your vehicle, the uncrated parts will definitely fit. They will also weigh somewhat less. If you are concerned the fit might be marginal, feel free to call us and we can discuss your specific needs. Uncrated parts can often be packed creatively. Before making travel arrangements, confirm the pick-up date with Zenith Aircraft Co., as a pick-up appointment is required. Also, inform us ahead of time of the vehicle and packing materials you plan on bringing, so that we may give you any additional recommendations. Note: From our experience, a pick-up truck is not suitable for picking up a complete airframe kit. We recommend a trailer or large enclosed van/truck. You will be responsible for loading and properly packing the kit parts in your vehicle, and assuring that your vehicle / trailer is suitable for hauling the kit parts. Zenith Aircraft staff will be available to lend you a hand in loading, but Zenith Aircraft Company is not responsible for parts that may be damaged or lost in loading, transit, or unloading of the kit parts. Most standard kits are crated and shipped by surface freight to our customers. 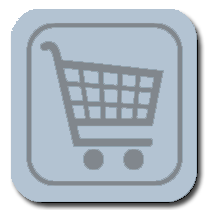 Crating and shipping charges are not included in the kit prices. All kit prices are F.O.B. Factory. Unless otherwise specifically arranged with Zenith Aircraft Company, all shipments are sent freight collect. When a crated kit order is sent to you, be prepared to take delivery of the kit. Complete kit orders are usually shipped in a single large crate. The crate is big and heavy: 12′ x 4′ x 3′ or more, and it can easily weigh more than 800 lbs. Make arrangements to be able to unload the crate off the truck and have covered space to place the crate until you unpack it. International Customers: We have extensive experience shipping kits around the world. We can help make arrangements to have the kit delivered to your door (where available) or we can work with your broker or shipper of choice.